In my defense, it’s been a pretty crazy month. First I got really busy with freelance work. Then one of my friends committed suicide. Then my wife and I welcomed the arrival of our second child. So I’ve been busy, and thinking about other things. I’m reconsidering what I want to do with this blog. I’m hoping to make it a little more freewheeling, a little more fun, a little more funny and irreverent. One immediate change is that I have decided to turn off Comments on my blog. Thanks to everyone who sent thoughtful, constructive comments about things I’d posted here, but I’ve decided to treat this blog as more of a monologue and less of a public forum. In the future, anyone who wants to comment on my blog can send me an e-mail at benjamin.gran@gmail.com. I read a great article awhile back about procrastination, and how we need to think differently about procrastination. Some people who think they’re procrastinators are actually “incubators.” They still get the work done, and with a high level of quality – it’s just that they need some time along the way to let the ideas percolate. “Procrastinators may have a habit of putting off important work. They may not ever get to projects or leave projects half finished. Importantly, when they do complete projects, the quality might be mediocre as a result of their lack of engagement or inability to work well under pressure. I’ve decided that I’m not a procrastinator, I’m an incubator. Sometimes the ideas need to sit and stew for a few days before they’re ready to launch. Too often, people in positions of power tend to become remote. They lose touch with the people who are affected by their decisions. They start keeping their guard up all the time – everyone starts to be seen as a supplicant, rival or potential threat. Power can be isolating. It can undermine the best part of people – it can make people lose touch with what they wanted to accomplish by gaining power in the first place. I have a mentor who is a high ranking executive. But he’s incredibly generous with his time, he’s connected, he’s engaged, and he’s always looking for ways to help. He’s a philanthropist and a community leader and he’s involved in all kinds of stuff going on all over town. He’s one of the least lonely people I’ve ever met. Maybe the people who find themselves lonely at the top…were already lonely to begin with. As you get older, there are fewer and fewer people to impress. When you’re young, you have so many people to impress: teachers, classmates, your parents, your friends, parents of friends. You get a little older and you go to college. You’re constantly meeting new people, trying to make an impression, making snap judgments about whether people are “your kind of people” or not, trying to be liked, trying to fit in, trying to find your place. You finish college and go out into the real world. Now you have to impress your boss, your co-workers. After work you go to bars, parties, mixers, and always you’re trying, on some level or another, to impress the people you meet. You’re always out there, always searching, always putting your best foot forward, or at least trying to. And then before you know it, all of a sudden you’re married and you have kids and a house and a career. You settle down. You stay home on Saturday nights and cook dinner. You drive to your parents’ house for Sunday lunch. You go to a movie two or three times a year. Your horizons have narrowed. It’s harder to travel, harder to go out, and it’s increasingly unheard of to go to bars or parties or mixers. As you get older, the world shrinks. But there’s a certain kind of freedom in that – in not having so many people to impress. This seems like a huge number of people. Why do they need 200 staffers just to put on a 42-minute TV show? (Half of which is taken up by musical acts and celebrity interviews.) I’m sure that the Tonight Show staff are working hard, but how many people do you need to put on a comedy show? How many writers does it take to write a late night monologue? When I worked at the Governor’s office, we had a staff of about 30 people. And that was to run the executive branch of a state government with an annual budget of over $4 billion. Granted, no one at the Governor’s office ever came up with Triumph the Insult Comic Dog. So maybe all those Tonight Show staffers are necessary, after all. P.S. I haven’t watched late night TV in several years, but my sympathies in the Jay vs. Conan brouhaha were fully with Team Coco. And I hope that the “Legally Prohibited from Being Funny on TV” tour is a smashing success. This article from the N.Y. Times talks about how the leaders of South Africa are becoming so blatantly corrupt that people are calling for “lifestyle audits” to find out how public servants in a not-terribly-wealthy country can afford BMWs and designer watches. I don’t mean to pick on South Africa, because corruption is a problem in lots of countries all over the world. It’s a tough problem to solve. Once a place develops an entrenched culture of political corruption, bribes and embezzlement from the public coffers, it often becomes hard to stop – and hard to find people who want to serve in public office for the right reasons. Maybe the way to fight corruption is to make corruption something to be ashamed of – not just because it’s wrong, but because it’s tacky. Seriously. Is there anything more slimy and tawdry and in poor taste than selling your office? Is there a bigger sign of a leader’s insecurity than the fact that he spends his people’s money on a nice watch and a fleet of cars? If you’re the president of a country, you have the power to change the lives of millions of people for the better. And instead you buy yourself a nice watch and a fast car? What are you, nine years old? These guys remind me of Borat bragging about his VCR remote control – don’t they know how embarrassing they are, to their countries and to themselves? President Obama won the Nobel Peace Prize, and he gave the money away to charity. That’s what a leader should do – be generous. Give the money away. Real leaders aren’t motivated by money and flashy, shiny things – they’re motivated by making a difference; not by looting as much treasure as they can get for themselves. 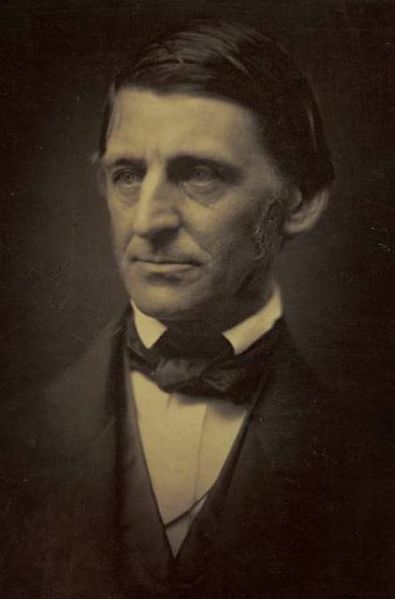 I read the following excerpt from Emerson in Linchpin by Seth Godin. The book is worth reading for anyone who wants to have the career they deserve – and who wants to do work that matters. If our young men miscarry in their first enterprises, they lose all heart. If the young merchant fails, men say he is ruined. If the finest genius studies at one of our colleges, and is not installed in an office within one year afterwards in the cities or suburbs of Boston or New York, it seems to his friends and to himself that he is right in being disheartened, and in complaining the rest of his life. A sturdy lad from New Hampshire or Vermont, who in turn tries all the professions, who teams it, farms it, peddles, keeps a school, preaches, edits a newspaper, goes to Congress, buys a township, and so forth, in successive years, and always, like a cat, falls on his feet, is worth a hundred of these city dolls. He walks abreast with his days, and feels no shame in not “studying a profession,” for he does not postpone his life, but lives already. He has not one chance, but a hundred chances. Isn’t it funny how some of the most talented people are also the ones who worry the most about their careers? I see it all the time when I interview high school seniors who are applying to my alma mater – the kids with the best grades and the best test scores and the best high school resumes always seem to be the most stressed out about getting into the “right” college. I think in the future we’re going to see a different standard for success. It’s not about getting into a profession anymore – the professions have lost some of their cachet. Don’t be a doctor because you want to impress people or earn a big salary; there are better paying occupations that don’t require 10 years of schooling. Don’t be a lawyer because you think it’s the only way to have a “reputable” career – most lawyers hate their lives. And don’t expect to start out on one perfect career path the month after you graduate from college. Life is more complicated than that – and the most “successful” people, in the long run, are the ones who can try multiple things and bounce back from adversity and keep landing on their feet. It was true in Emerson’s day and it’s true today. Since I have nothing to write about today, I’d like to share this story from “Linchpin” by Seth Godin. Forty years ago, Richard Branson, who ultimately founded Virgin Air, found himself in an airport in the Caribbean. They had just cancelled his flight, the only flight that day. Instead of freaking out about how essential the flight was, how badly his day was ruined, how his entire career was now in jeopardy, the young Branson walked across the airport to the charter desk and inquired about the cost of chartering a flight out of Puerto Rico. Then he borrowed a portable blackboard and wrote, “Seats to Virgin Islands, $39.” He went back to his gate, sold enough seats to his fellow passengers to completely cover his costs, and made it home on time. Not to mention planting the seeds for the airline he’d start decades later. Sounds like the kind of person you’d like to hire. Are you the sort of person who gets angry when a flight is cancelled, or when some other inconvenience stands in your way? Or are you the kind of person who changes the game altogether?